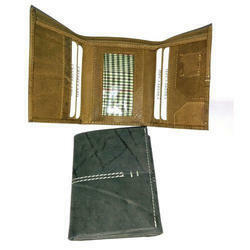 We are engaged in manufacturing and exporting a wide range of Men Leather Wallets . 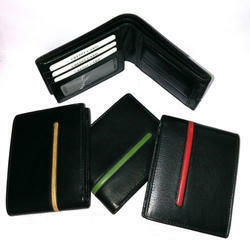 We are engaged in manufacturing and exporting a wide range of Men Black Leather Wallets. 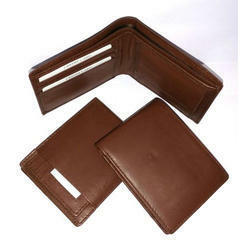 We are engaged in manufacturing and exporting a wide range of Men Leather Wallets. Available Colors Black, Cream, Brown etc. 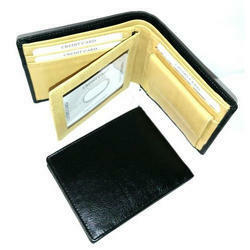 We manufacture and supply a wide spectrum of Mens Leather Wallet. These leather wallet purse are embellished with multiple pockets which make them a perfect option for keeping various items in an organized manner. Leather wallet purse is spacious enough to keep cash and many other items. We manufacture and supply a wide spectrum of Leather Mens Wallets. These leather wallet purse are embellished with multiple pockets which make them a perfect option for keeping various items in an organized manner. Leather wallet purse are spacious enough to keep cash, wallets, camera and many other items.